For more details including composers notes and sound clips please click on the title of a piece below. 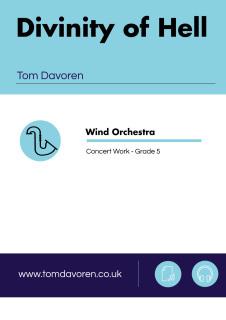 Publishers - Tom Davoren Music, Studio Music Company, Ty Cerdd, Wright and Round Ltd.
Tom Davoren Music is only responsible for titles listed as published through Tom Davoren Music. The purchase and delivery and product quality of all other titles is the responsibility of their listed publisher or distributor. Upon receipt of payment your order will be dispatched within 5 working days via email in PDF format. Each PDF score and part is supplied stamped a copyright mark and legal statement. This contains details of the purchaser and a purchase date. Any material supplied is designed for use by the specific purchaser only. 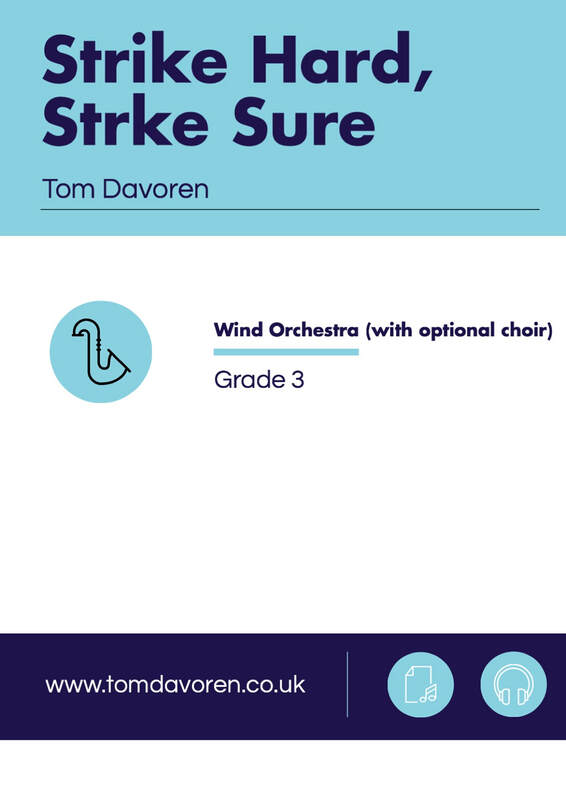 Any third parties wishing to perform a Tom Davoren Music work should contact Tom Davoren Music and purchase a set independently. 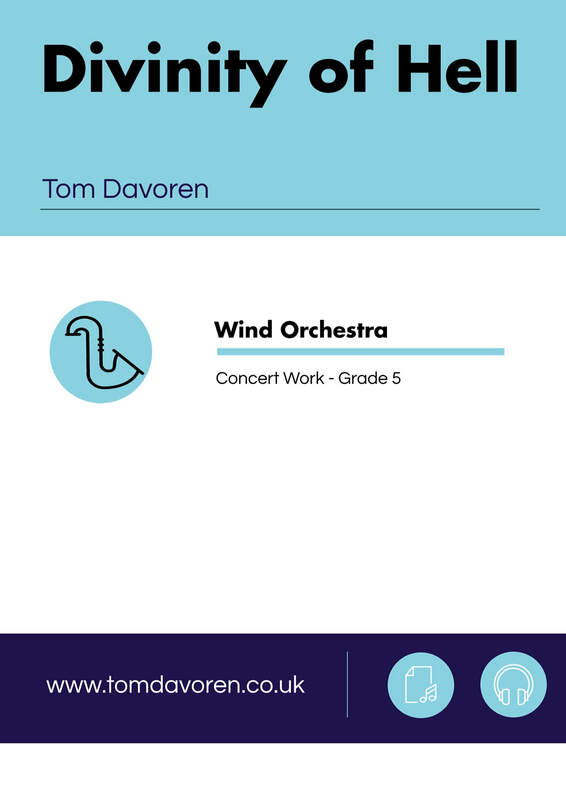 Tom Davoren Music hopes that you will be satisfied with your order. Should the received goods be damaged or faulty, please let us know in writing within 7 working days of delivery. 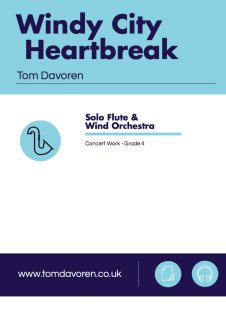 Tom Davoren Music does not supply music on a sale or return basis nor does it accept returns of goods unless supplied in error or damaged/faulty. 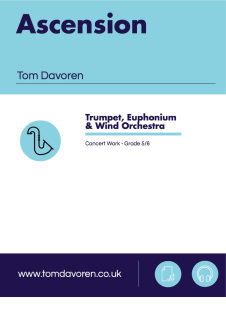 Tom Davoren Music will charge the full fee of a replacement PDF for any replacements outside this time frame. Printed music is VAT exempt in the UK at present (2010) and therefore no charges are added to your order. Ascension takes it’s name from the inspirational phenomenon that was Felix Baumgartner’s ‘Red Bull Stratos Jump’, 2012. In an age where the stimulation of mass media is so prevalent, it is a rare thing for a single event to captivate the global consciousness. However, the sheer magnitude of human endeavor shown by the ‘Stratos’ project achieved just this. The piece is structured in two continuous sections, representing both the ascending and descending stages of the jump by contrasting a gradually unfolding meditation against an adrenaline fueled scherzo. In line with this contrast, the progressive expansion of technical difficulty and intensity of solo instrumental writing tries to capture the physical experience of Baumgartner himself during the jump. Ascension was jointly commissioned by the Central Band of the Royal Air Force (UK) and Brass Band of Battle Creek (USA) for performance by Steven Mead, Chris Jaudes and Ben Godfrey. Written for the Central Band of the Royal Air Force and their trombone soloist Jonathan Pippen, the driving concept behind Diversions on Calon Lan as a second look at the dated form, most famous (or perhaps infamous!) within the band movement, that is the air and variation. Divinity of Hell takes it's title from a line spoken by the character of Iago in Shakespeare's play, Othello. The quote is taken from the character's soliloquy in Act II, Scene 3. Rather than a programmatic work depicting specific scenes from the play, the piece is a short study of Iago's key character trait. The term itself is a paradox, balancing two intrinsic opposites; a perfect representation of Iago's devious nature. His role in the play is that of a smiling assassin, consistently maintaining a delicate veil of friendship with Othello in order to cover his true, sinister intentions, which are inspired by no other motive than that of hatred itself. To other characters in the play he is a friend with kindly intent, whilst to the audience he is a clear villain from the outset. Divinity of Hell looks at Shakespeare's masterful balancing act of Iago's character from the perspective of the audience: from friendship, to mistrust, to murder. Though the work was composed intuitively, its structure does fall neatly into five unbroken sections, I. CONTEMPLATION, II. CONSIDERATION, III. BALANCE, IV. CONFUSION and V.VALEDICTION -all preceded by a short introductory cadenza section. Like the personal journey itself the music is neither regular nor predictable. Peaks and troughs in melodic, rhythmic and harmonic intensity are plentiful but irregular, life after all has its ups and downs! The one constant throughout the work is the gradual revealing of clarity. Confused harmony is cleansed, rhythm simplified and melody is the focus of an adrenaline fueled final section. Pure of Heart was commissioned for the Burry Port Town Band by the organisers of Cydweli 900, a community initiative set up to celebrate the history of the town of Kidwelly in it’s 900th anniversary year, 2015. Generous support for the commission was given thanks to legacy funding from the now disbanded Mynyddygarreg Silver Prize Band. The piece itself is popular in style, celebrating the long established connection between Kidwelly and Mynyddygarreg, whose rail linked coal mine and tin plate works were symbiotic during their industrial heyday. The sound of an industrial landscape and railway are referenced through the band’s percussion section, who at one stage play a selection of metal bars, piping and anvils. 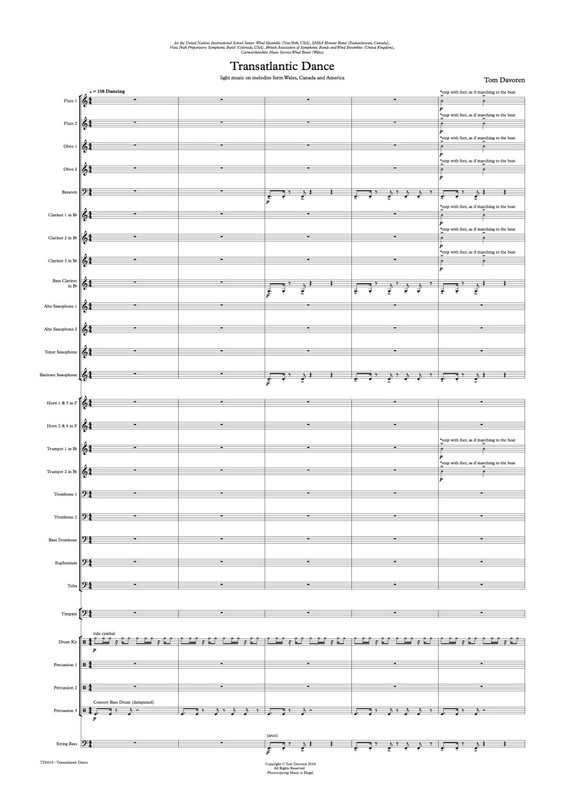 The hymn tune ‘Calon Lan’, written by well known West Wales composer John Hughes (1872 - 1914), was chosen as the main source of thematic material as a reflection of the connection between community music making and heavy industry in Wales and beyond. Interestingly, John Hughes himself had a background as a steel worker as well as being a church organist and hymn tune composer. Return to the White City was commissioned by the Central Band of the Royal Air Force to commemorate Great Britain's hosting of the Olympic Games in 2012. The piece takes its name from the famous White City Stadium, situated in the London district of the same name, which was built to accommodate marathon running distances during the United Kingdom’s first hosting of the Olympic Games in 1908. It is structurally based around key physical phases of endurance in long distance running. 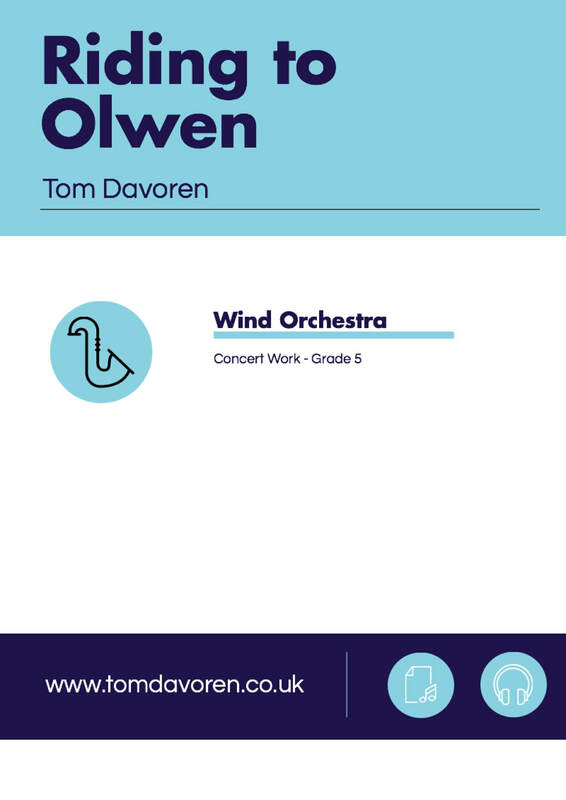 Riding to Olwen was composed in 2016 for the University of Nevada Las Vegas Wind Orchestra and their director Prof. Thomas Leslie. The piece falls into a specific area of Tom Davoren’s output focusing on stories from ‘The Mabinogion’, a book of Welsh folklore and earliest recorded prose literature in the British Isles. Olwen is the beautiful daughter of the giant Ysbaddaden Pencawr. A spell of infatuation for Olwen is cast on Prince Cullwch son of Cilydd, who is then charged by the giant with completing a series of impossible tasks to win her hand. This music is Tom’s imagining of the riding of Cullwch and his knight’s on their first quest; rampant, adrenaline field and laced with anticipation. Stillness was commissioned by an international consortium consisting of the following ensembles and their directors. This consortium was constructed due to a shared connection between each member and the story of pioneering aviator, Amelia Earhart. The composer remains indebted to the support of each consortium member and to Ty Cerdd, the centre for Welsh music, for their input in bringing this project to life. 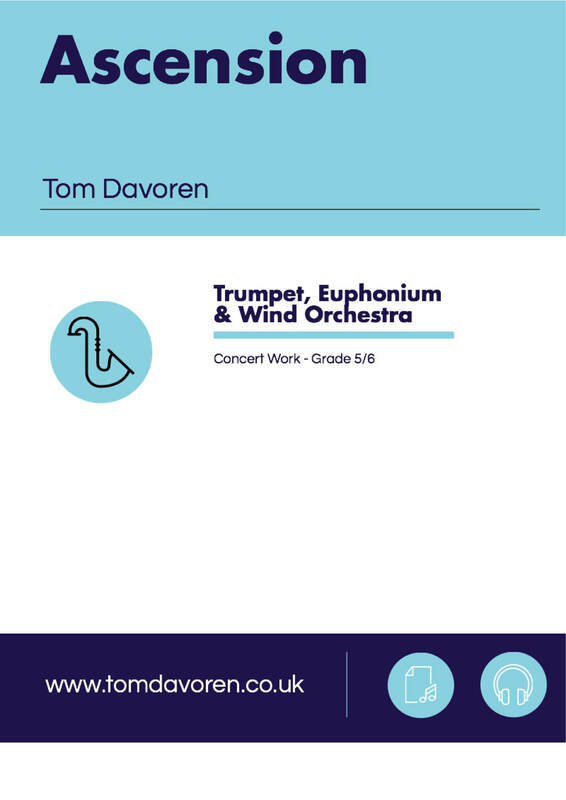 Composer Tom Davoren first encountered music thanks to the enthusiasm and encouragement of his local band, the Burry Port Town Band, in West Wales. Famed for it’s picturesque harbour, a perhaps lesser know part of Burry Port’s identity is it’s surprise hosting of pioneering aviator Amelia Earhart, who was received by the town on the completion of her first successful transatlantic voyage in June 1928. Taking off from Newfoundland in Canada, Earhart and her crew intended to arrive at the English port of Southampton. Burry Port Harbour would prove to become a safe haven for the daring female pilot, from Kansas USA, when visibility proved too poor to reach the final target. "How lovely your country is," she said. "The stillness and the silence brings back again the almost awesome feeling which came to me as, hour after hour, we pushed forward through the thick clouds and fog. It was as if we were alone in the world. To think that 48 hours ago I was in America and now I am in Wales!" Stillness takes it’s title from this quote and it’s inspiration from the stages of Earhart’s journey from Canada to Wales. The opening of the piece attempts to balance two conflicting moods; the sense momentum and timelessness associated with air travel. There is a sense of underlying tension, which leads to aggressive music depicting the challenging weather conditions that forced an unexpected landing just off the coast of South West Wales. Through the mist a port town becomes progressively more visible, which leads to small flotilla of working boats sailing to meet Earhart’s aircraft and gently guide it ashore. As the harbour gates are cranked open a bustling, exciting atmosphere is revealed as the whole town of Burry Port have turned out to great the intrepid, transatlantic visitors. Throughout the work a melody from the traditional Welsh hymn tune Burry Port by John Roberts becomes progressively clearer; clanging from it’s native minor to an optimistic major key. Whilst this itself is a reference to the shape of Earhart’s journey this musical material has been included due to it’s close connection to Burry Port Town Band. Tab John, a long serving tuba player with the band, discovered what was thought of lost sheet music for the hymn in a forgotten and threadbare copy of the Welsh methodist hymnal in a local ‘bric-a-brac’ shop as I was composing Stillness. The fact that this hymn would have been sung during the time of Earhart’s landing, and that it’s Welsh text referees to ‘finding safety in the desert’, made it’s discovery seem very much like fate. Strike Hard, Strike Sure was commissioned in 2015 by The Band of the Royal Air Force College and the International Bomber Command Memorial Trust. It received it’s first performance at the dedication of the International Bomber Command Memorial Spire, by the band alongside the massed male voice choirs of the county of Lincolnshire, where it accompanied a fly past from Lancaster, Blenheim and Vulcan bomber aircraft. The work takes it’s name from the motto etched on the Royal Air Force Bomber Command insignia, ‘Strike Hard Strike Sure’. 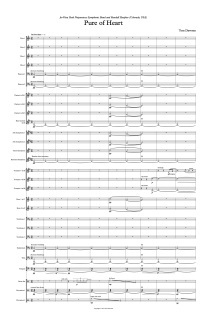 The score and set of parts include optional parts for male voice choir, though it is designed principally for performance by a standard wind orchestra. ​Transatlantic Dance was commissioned in 2016 by a consortium of organisations headed by the United ​Nations International School Senior Wind Ensemble. Echoing the inclusive and international outlook of the wider United Nations organisation the piece seeks to promote co-operation and enjoyment in music making through the setting of three distinct national themes into a piece of energetic light music. The Canadian and American melodies Oh Canada and America the Beautiful are slowly unveiled as the work builds to a triumphant climax, while the Welsh melody Men of Harlech is consistently woven through the work as a tongue in cheek counter melody. Musical material has been chosen to represent each of the consortium bands. Percussionists are offered the chance to shine in a ‘drum line’ and drum kit feature. Material has been timed for percussionists to walk from the rear of the band and perform the ‘drum line’ section at the front of the stage should this be desired; the drum kit and and timpani players should remain seated. 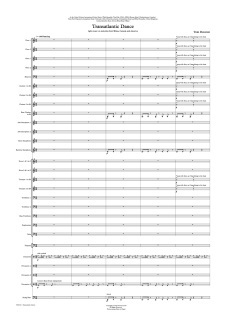 Windy City Heartbreak was composed during Tom Davoren’s visit to the Midwest Band and Orchestra Clinic 2012, in Chicago, Illinois. Though he fell in love with the city immediately a personal cloud hung over the trip, equally lacing the music with optimism and heartbreak.